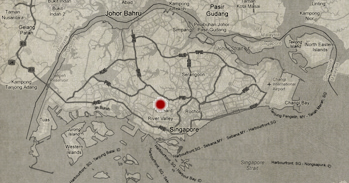 Our favorite haunt for food when in Singapore are its hawkers. They’re cheap, readily accessible, and quite delicious. But sometimes, most especially when we’re with friends, we try out restaurants above our budgetary constraints. Well, when they treat us for meals. Another place we also frequent besides these are the numerous food courts usually found inside mall basements. While we still prefer Singapore hawkers over those two. It’s such a comfort to eat your favorite hot dishes on cool air-conditioned rooms, lol. 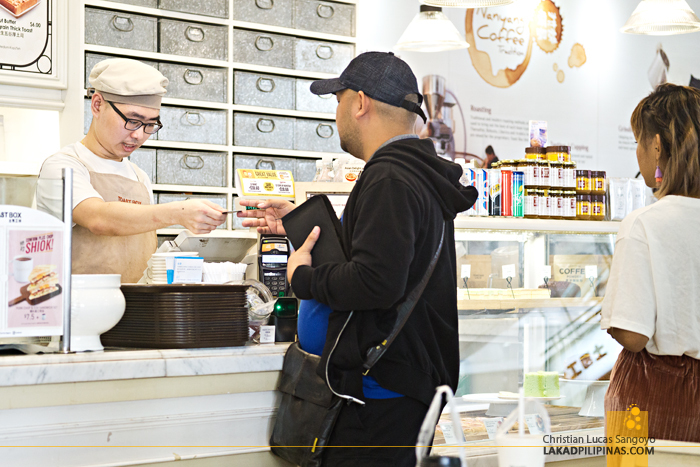 Lucky Plaza holds the number one spot for Filipinos in Singapore. And for this reason, Jollibee built its first outlet in the country inside its doors. It’s our go to spot, whenever we miss Chickenjoy during our annual two-month long summer trip (if we do drop by Singapore, that is). 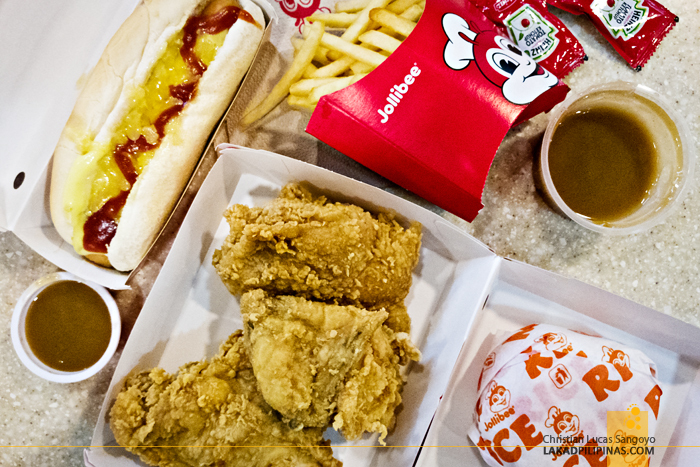 In all fairness, even though their Jolly Spaghetti (SGD 4.50) doesn’t compare to the original ones in the Philippines, their Chickenjoy (SGD 7.00, 2 pieces), including their gravy, taste exactly like those in our home country. 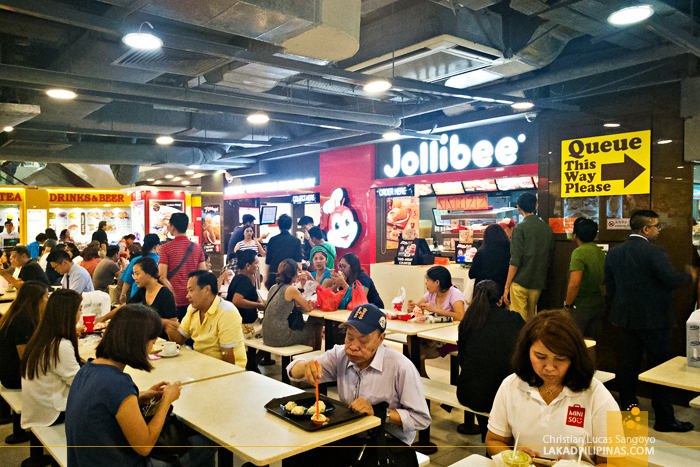 Besides having Jollibee, the Lucky Plaza food court also has a lot of stalls selling what you’d normally see on a hawker center, sans the usual Singaporean warm weather. 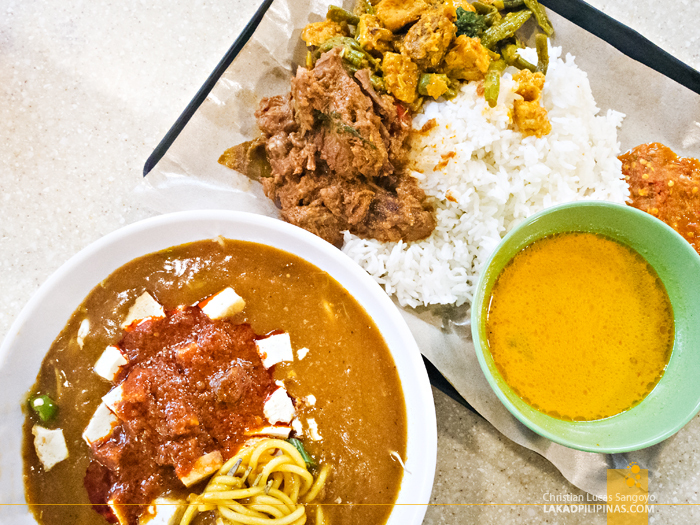 We were able to try a bowl of mee rebus and a plate of rendang. Like on most places, it can be a hit or miss. The former was a miss, the latter, a hit. I cannot remember why we ate at the Tangs Plaza food court which they dub as Tangs Market. It may be that it’s just a stone’s throw away from where we were staying, YOTEL Singapore, the last time we went to SG. My travel partner told me that I went hangry after visiting the Singapore Botanic Gardens and that’s where we were the moment my tummy rumbled. Anyhoo. Their food court isn’t really that large, but selection was pretty okay. 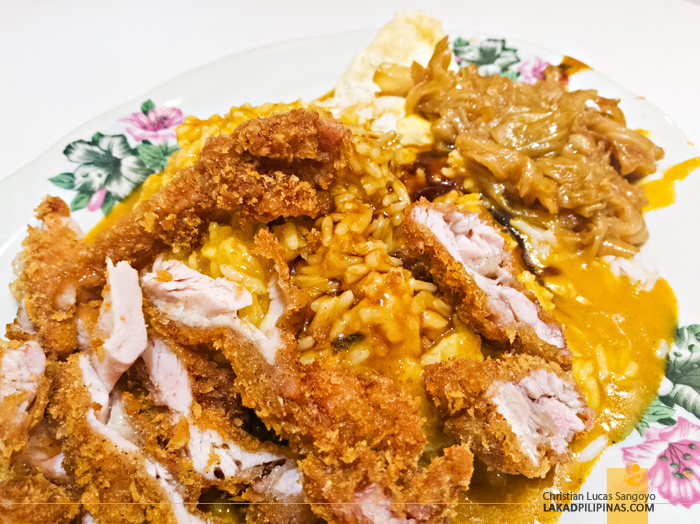 We went for Fei Siong’s Hainanese Curry Rice. We chose the chicken cutlet (SGD 4.30), the cheapest among the bunch. The photos advertising it looked much more delicious that it actually is, but really, it’s on the above average side. 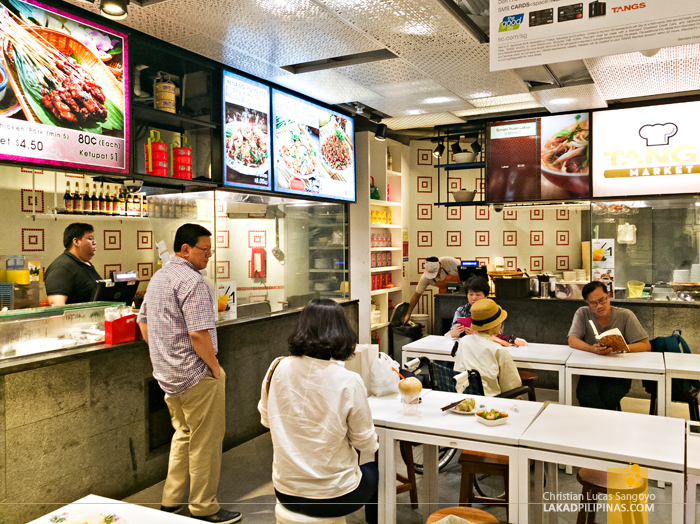 One of our friends’ go to spot when in Singapore is Toast Box. Since they’re really not the most adventurous when it comes to food, the familiar name (since we used to have these in the Philippines), probably draws them. 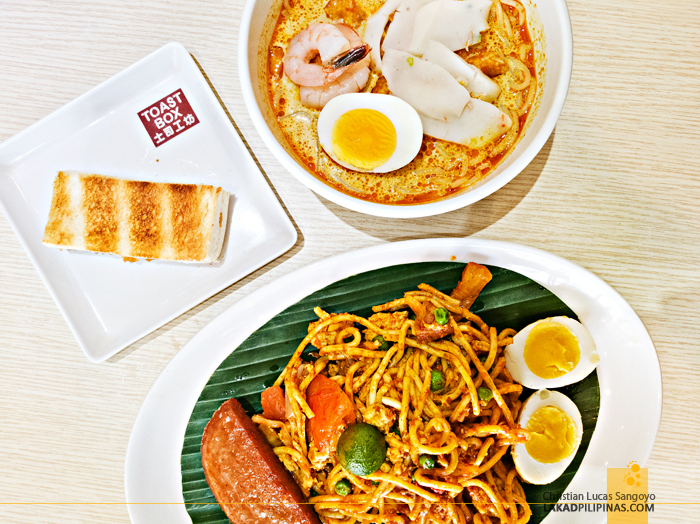 We’ve tried this popular Singaporean restaurant on their Marina Bay Sands and CHIJMES branches and their menu varies a bit from those in Manila. My finger always lead me to point to their mee rebus (SGD 6.70) and laksa (SGD 6.80), while C usually goes for their mee goreng (SGD 6.20) which has luncheon meat included, and adds an order of traditional kaya toast (SGD 1.90). For drinks, their Milo Dinosaur (SGD 3.40) is the bomb.